With growth in access to high-speed broadband and 4G, and increased ownership of smartphones, tablets and internet-connected television sets, the internet has simultaneously begun to compete with and transform television. Online TV argues that these changes create the conditions for an emergent internet era that challenges the language and concepts that we have to talk about television as a medium. 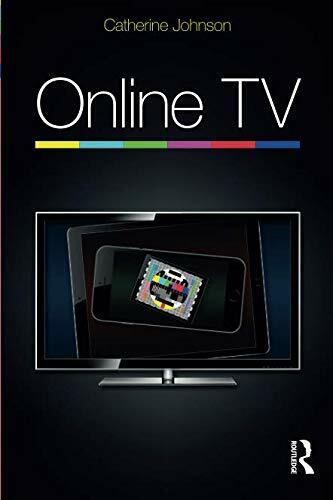 In a wide-ranging analysis, Catherine Johnson sets out a series of conceptual frameworks designed to provide a clearer language with which to analyse the changes to television in the internet era and to bring into focus the power dynamics of the online TV industry. From providing definitions of online TV and the online TV industry, to examining the ways in which technology, rights, interfaces and algorithms are used to control and constrain access to audiovisual content, Online TV is a timely intervention into debates about contemporary internet and television cultures. A must-read for any students, scholars and practitioners who want to understand and analyse the ways in which television is intertwining with and being transformed by the internet.